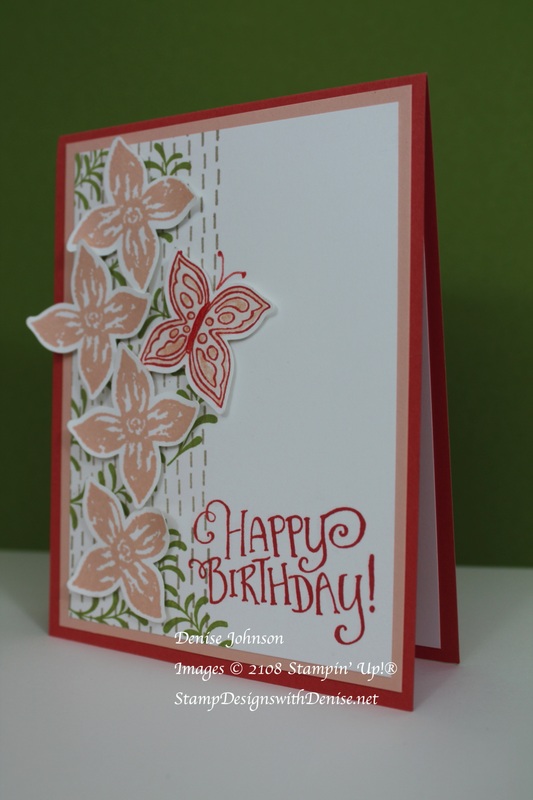 After taking the summer months off to spend time with family and relax, I am finally getting back into sharing my card creations again. Just because I haven’t been posting does not mean that I have not been stamping. 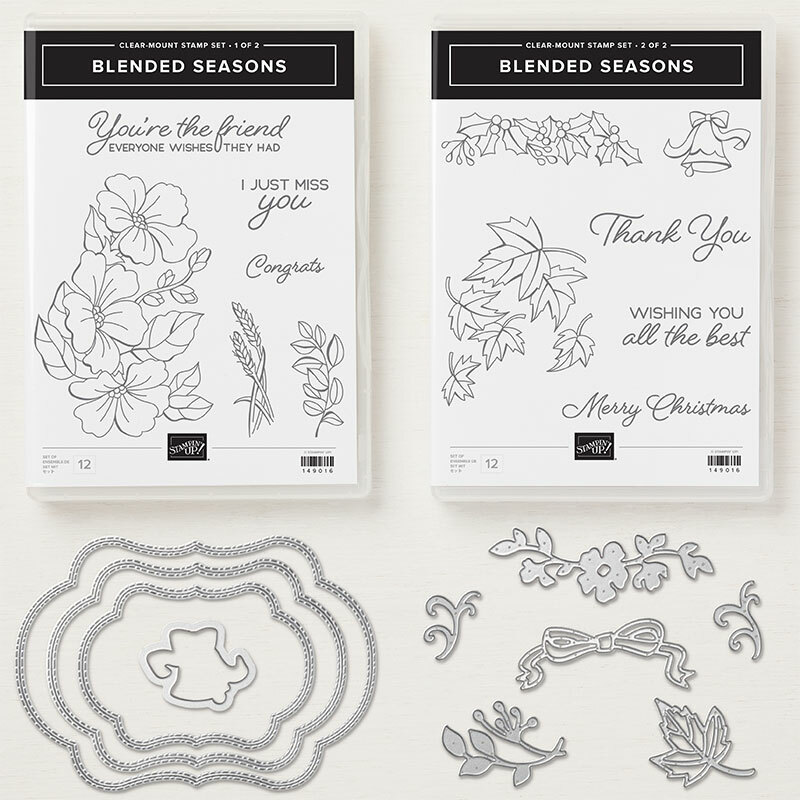 The new 2018 Annual Catalog was released at the beginning of June and now the 2018 Holiday Catalog is set to launch on Sept. 5th! Here is a card I made for my August Stamp Club. Info about the card is below. 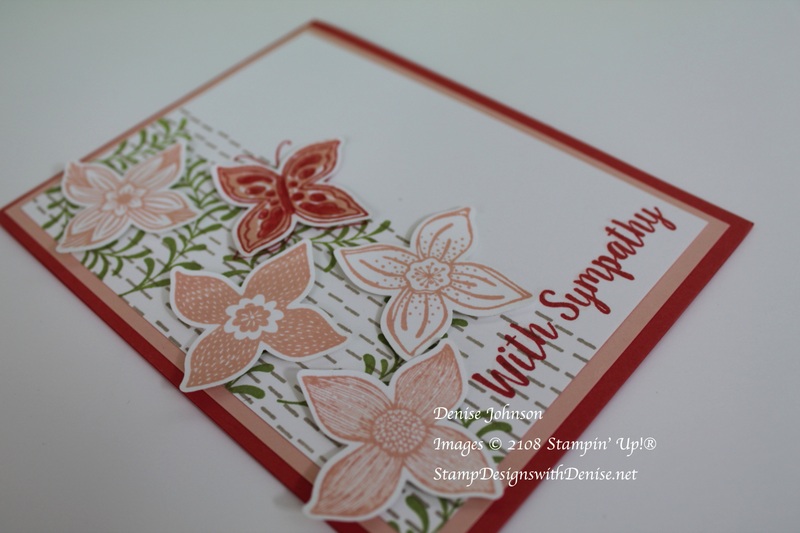 There are a couple of specials at Stampin’ Up! this month. You will receive a $5 coupon for every $50 you spend on products during the month of August. The coupon can be redeemed Sept. 1 – 30, 2018. This exclusive bundle is only available during the month of August. 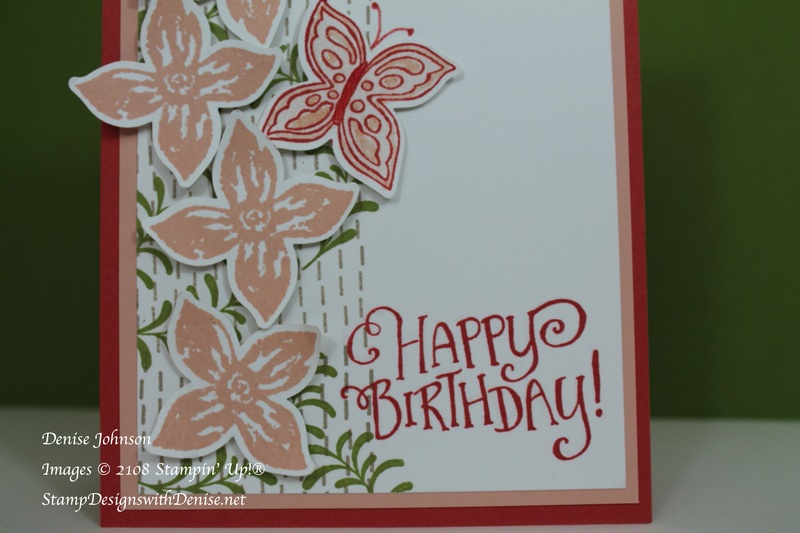 I love what I do and I love sharing my creations using Stampin’ Up! products. You can take advantage of these great August specials by shopping with me and clicking here! Here is more information on the card at the top of this post. 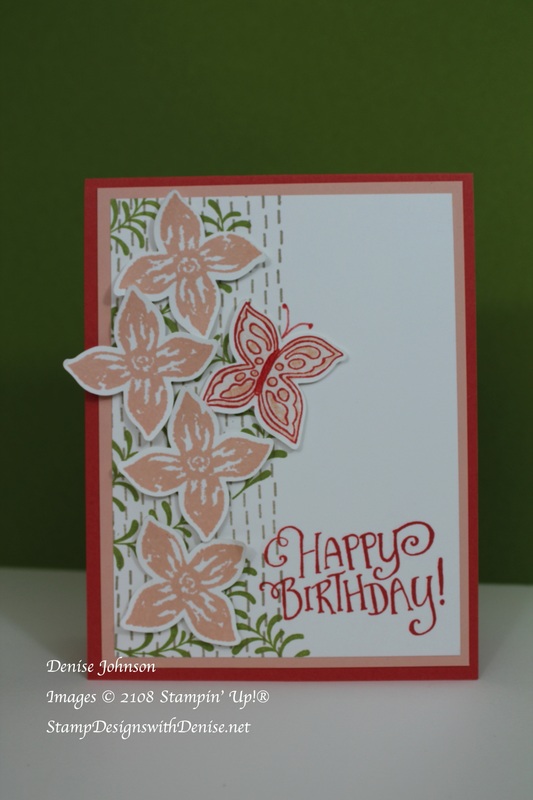 Here is the same card with different flowers and sentiment.